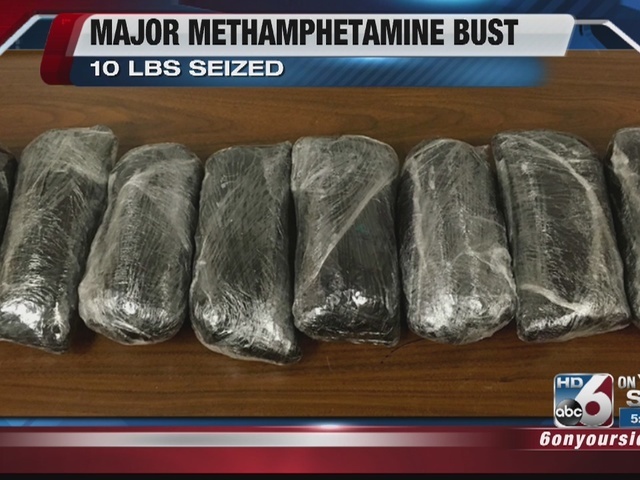 The Ada County Sheriff’s Office is reporting that two Boiseans are in jail after deputies found ten pounds of meth during a traffic stop on I-84. James L. Dorsey and Brandy C. Grenicko have been charged with felony counts of trafficking methamphetamine and are being held in Ada County Jail. According to the Ada County Sheriff's Office, deputies pulled over a black Nissan Pathfinder for speeding on westbound I-84 near the Blacks Creeks Road exit just after 10 a.m. on Saturday, May 28th. The SUV was going 90 mph and failed to maintain the lane of travel, according to ACSO. Deputies determined that Grenicko was on parole for possession of a controlled substance with intent to deliver from 2012. K9 officer “Hondo” was deployed and alerted deputies to the possibility of drugs inside the vehicle. Deputies found eight packages containing meth inside of a backpack with several meth pipes and a loaded gun inside of a suitcase. Grenicko and Dorsey will make an initial appearance on Tuesday, May 31st for the crime. The crime of trafficking methamphetamine is punishable by up to life in prison.